There are a couple of ways to search for new properties for sale, all across Canada. If you are just starting your search, you may want to check out our local listings here. This is a great way to see what the real estate market conditions are in a particular area and lets you to see firsthand, what’s available in your price range. You can further narrow it down to a small area or neighborhood, or select specific features such as a fireplace, garage or a swimming pool. It generally takes a few days before the MLS system catches up and actually puts the listing online. 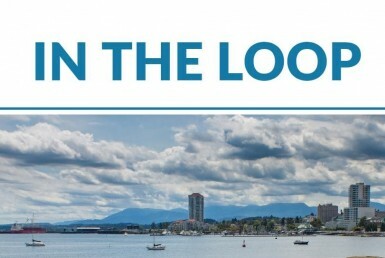 In a hot real estate market like Nanaimo, this may be the difference in finding a home (or not) before it is sold – a great reason to have a REALTOR® working for you right from the beginning of your home search. Another way to find new listings is to speak with a real estate agent about your needs and have them set you up to receive PRIVATE CLIENT SERVICES (PCS) updates. Your agent sets it up so you receive an email whenever there’s an update to properties matching your criteria – price range, number of bedrooms, bathrooms and other features you may be looking for. You’ll see what’s new on the market and you’ll also see what property is selling for once the property has been sold. Your real estate agent may also have access to new listings before they show up on the MLS system – if another agent in their office, for example, gets a new listing that suits your needs, you may be able to view it before the general public even knows it’s for sale. Whichever way you decide to proceed, having access to the active listings in your area is a terrific way to stay on top of the market. If you see a property on the MLS system or through a PCS update, you simply call your real estate agent to set up a viewing. Your real estate agent will then take you through the purchase process from start to finish – writing up the offer, negotiating on your behalf and staying with you through completion of the sale. Often, they can also refer you to reputable home inspectors or other professional contractors or trades who can assist in the decision making process by providing additional information about the condition of the home. For expert assistance with your next home purchase or sale, call Scott Parker at RE/MAX of Nanaimo today. He can be reached at (250) 751-1223 and is always ready to help.